Home Lifestyle Stay Healthy & Be Active How Drinking Water Helps You To Lose Weight. Drinking Water Helps You To Lose Weight. 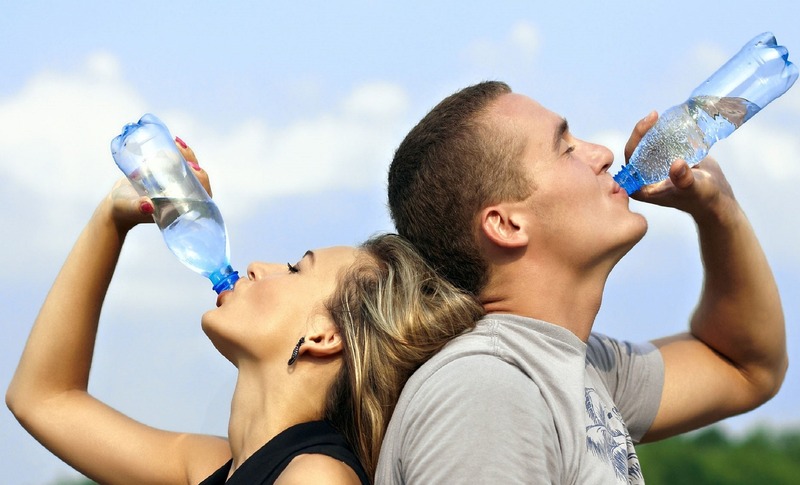 A lot of people say that drinking water will help you to burn extra calories faster. You’ve probably also heard this statement and maybe even more than once. That`s why now you’re wondering whether water can be beneficial for weight loss and lower the risk of weight gain as there is nothing more natural than to drink water and lose weight! So the answer will be mixed. First of all, drinking water can help you if you want to lose weight or prevent weight gain, but it doesn’t mean that you’ll just drink water sitting on your couch and you magically start losing weight. No! Such a thing can’t happen! Drinking more water helps the body to work off some extra pounds but read attentively how water helps with weight loss. Say “NO” To Calorie-Filled Drinks – Say “YES” To Water. Don’t Forget To Drink Water During Physical Activity. Drink Water Before Your Meal. Give Priority To Ice-Cold Water. If you stop drinking high-energy drinks such as different juices, packed soft drinks, coffee with milk, flavored tea and replace all these drinks with water, it will be the first step to your perfect shape. Of course, you may say that water tastes boring, and you can’t drink it instead of your favorite drinks all the time, but there’s not a significant problem. You can add a slice of lemon in a glass of water. By the way, the pectin contained in lemon lowers food cravings. So in such a way you diversify the taste and reduce the feeling of hunger. When you’re exercising and sweating, it’s so important to be well hydrated. Make sure that you’ll drink enough water when you work out in the gym or running in the morning because the proper hydration is equated to the right sports shoes without which you can`t work out long and hard. By the way, if you can’t choose nice sports shoes, you may visit The best 15 Asics walking shoes that can help to resolve this problem. But returning to the hydration of your body remember if you don`t drink enough water during the training your performance can suffer as dehydration can negatively affect your athletic abilities. Unfortunately, it often happens that our mind tends to confuse the feeling of hunger and thirsty. When you think that you’re hungry, drink a cup of water, and if your feeling of hunger does go away, you won’t have a snack and gain unwanted calories. Besides, drinking water before eating reduces the appetite as it makes you feel fuller that’s why you eat a much smaller amount of food and lower the intake of calories per meal. Now, why should you drink only cold water? Drinking ice-cold water helps to stimulate your metabolism as it makes your body work harder to warm the cold water up and as a result, you start killing more calories. And when you’re in the ice-cold gym water is considered more refreshing and useful than the room temperature one. So you see how drinking water can influence your weight and how important it is to drink enough water (no less than 2 liters a day!) and practice walking for weight loss. But you still have to balance your sports activities, eating habits and of course, hydration of your body. Only, in this case, you`ll reach a perfect shape.